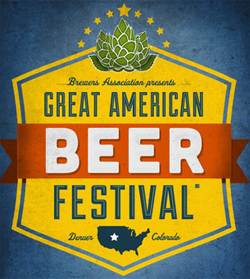 Want to win a trip to Denver to experience the largest celebration of beer in North America? In case you are unaware, the Great American Beer Festival is like the Woodstock of beer. It is huge. This year the event takes place October 11 – 13. While the actual beer festival itself is gigantic, there is more to it than that. Dozens of other beer events surround the actual GABF. Local breweries and beer halls pull out all the stops. For beer lovers it is the best time of year to visit Denver. Most of you know about GABF, so I won’t bore you with details. What I will tell you about is an opportunity for you to win a trip to Denver for the 2012 GABF. The trip includes transportation, lodging and tickets to the GABF. Note that the GABF sold out this year in under an hour. All you need to do to enter the giveaway is “Like” Visit Denver on Facebook and fill out the simple form. Then spread the love by inviting others to enter. The prize package includes airfare for two on Frontier Airlines, lodging for two at the SprinHill Suites in downtown Denver, and tickets to the Great American Beer Festival. Check out Visit Denver on Facebook for more details. Jack’s comment is better directed to the people at Visit Denver. It is their contest. Not ours. We just passed along the opportunity in case those people who are on Facebook wanted to enter.